For a small and humble charity 2015 became a very good year for ABCDreams (UK). 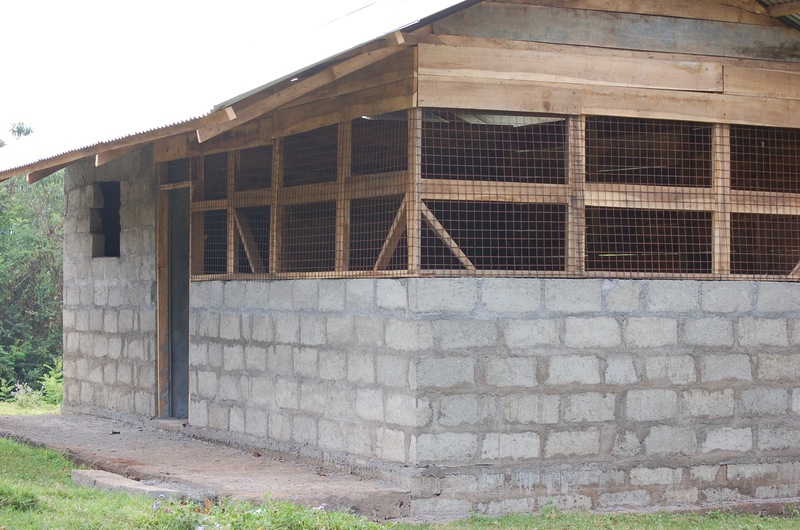 With the completion of the first of the school uniform projects with 115 students given new uniforms and where at the end of the year we sponsored the building of a new kitchen at ARI school, both these events represent a huge impact in the community. With the success of the uniform project we would like to continue as we started but aimed at a more closely targeted group. I’ve already had a request from one of the ‘bibi’s’ that she can’t afford a school uniform for her grandson. I would like to help but now have 92 other students who need help – up from 84 last year. For our school uniform Justgiving page click here. 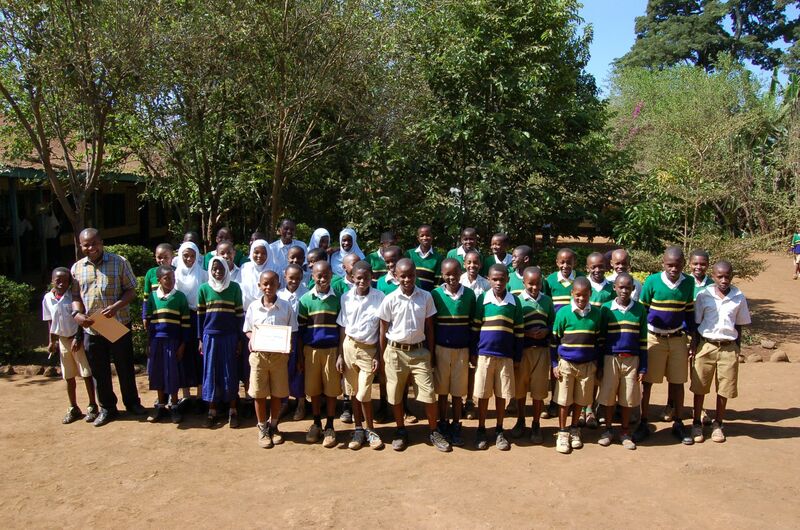 The most important part of what we do is provide school fees for orphans and otherwise vulnerable children. Funny thing is though, the current government has made good on one of its election promises to provide free schooling right the way through secondary school. How this will be implemented has yet to be seen and so far many of the schools have not yet received their allotment from the government! They are still expected to open for students but are currently unable to feed them! Fortunately, ABCDreams (UK) has come through with its annual dontion and schools are now able to buy food! It shouldn’t be like this, of course and will no doubt improve over time. I think the government is just unable to cope with the sheer numbers! Getting back to the kitchen at ARI School though, last year I taught an art class for the sponsorship program and noticed a pile of freshly cut clapboard in the corner. Asking what these were for I was told they were saving the wood for a new kitchen. ‘Ahh’ I thought. Maybe ABCDreams (UK) can help. I had already been alerted to the state of the toilets. I started a ‘crowd-funding’ campaign to raise funds for both toilets and kitchen but later found that the community had decided to try to fund the toilets themselves. I then reduced the request for funding strictly for the kitchen – with very pleasing results – thanks to all donors so far. As of this publication date we have raised £568 of £850. Just a bit more to go, folks! The kitchen as on January 12th, 2016 is nearly finished. They still need to put down a cement floor, finish the roof and add a fireplace. I will close the fund gofundme.com/ARIPrimary when I reach the goal so tell all your friends and neighbours, please! Meanwhile the toilets have had a start with a pit dug and foundations laid. The pit is even more unbelievable than the one we dug for Martha’s toilets – at least 15 metres down, and its all done by hand! In the last quarter of 2015 I completed a teaching course at all three schools to generate art works for sale. I will be producing saleable items from some of the pictures (they are not all good!) for display at my 2016 venues. I am already booked at Morden Fun Day – a great day out for the community and a great cause in support of locally-based charities. I hope to register for the Mitcham Carnival and Wimbledon Village Fayre this year, all in the cause of raising the bar for funding. African curios will continue to be on sale as well as the art works form the children. Last year we did rather well from these! Hopefully repeatable this year. So, now that we are into Q1 of 2016 and have setup support for our 93 children we have much more to do. Looking forward to another momentous year for a small and humble charity!